The motorcycle lawyers at The Lawyers Group, Inc., Inc can help you settle your accident claim, large or small. Our attorneys will serve as your injury accident lawyer in order to help you settle your personal injury lawsuit. It is frightening to be in an accident, it is even more frightening to not have good representation. The Lawyers Group, Inc. has dedicated a large portion of its time to assist those in need to get proper compensation for vehicular accidents. We also have several locations throughout Southern California, so please contact us today for a location near you. Our attorneys are here to assist you in making an already painful situation that much easier, getting the necessary medical care and compensation you need. 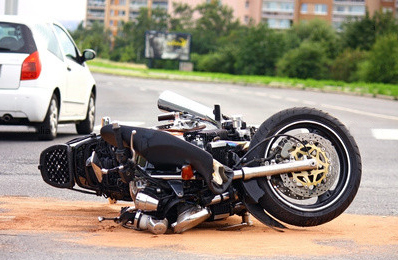 Our Los Angeles motorcycle accident legal team have extensive knowledge of your legal rights and will help you with claim settlement on every level during your court proceedings as well as afterwards. Contact our law office today and speak to one of our professional representatives for a free consultation about your case. You can also complete our free Online Case Assessment Form which will be reviewed by a lawyer. Whether or not you will need to go to court. How long will your case take to resolve. Medical bills due to mild or serious injuries. While our motorcycle accident attorneys can’t promise you that your claim will be settled in a matter of a few short weeks, we can promise you that they will do everything they can to settle your personal injury suit as quickly as possible. Different car, automobile and motorcycle cases in Southern California will require different amounts of time to resolve. If serious injuries were sustained, it could take your injury accident lawyer longer to settle your claim. At The Lawyers Group, Inc., we know that your situation can cause financial hardship and stress for you and your family. This is why we DO NOT charge any up front legal fees. You only have to pay once we successfully settle your case or win a decision in court.